Hello there! Today I'm going to share my first tutorial with you. 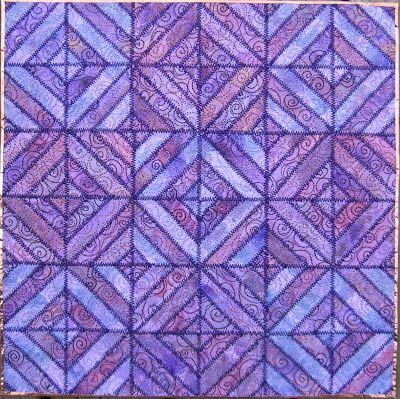 While browsing Pinterest today, I came across this pretty purple quilt. 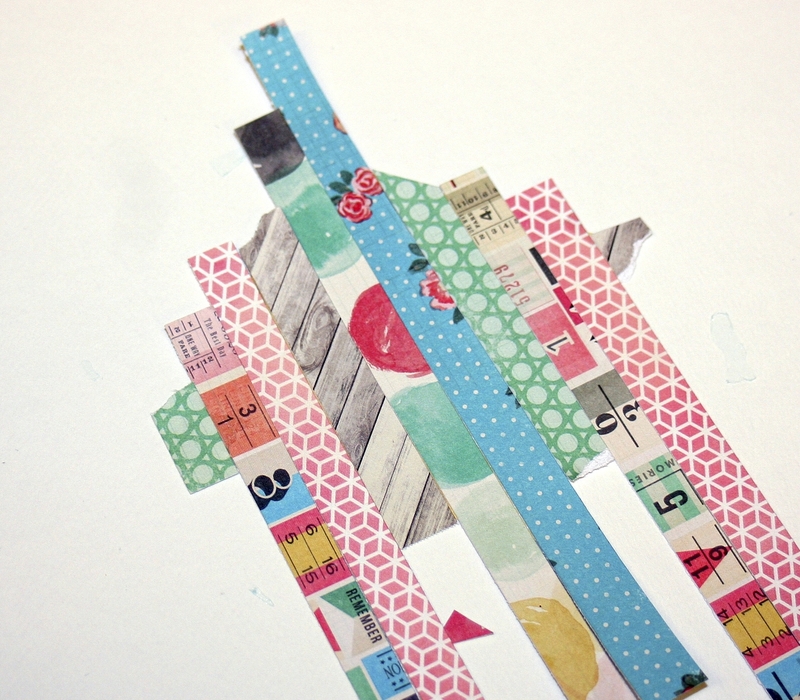 If I've learned anything from Paige Evans, I've learned that quilt patterns make great scrapbook page backgrounds! I thought this quilt would be perfect for a layout. I didn't want my quilted background to take up the entire page (I thought it would be too busy), so I decided to make my quilt squares 2.5". 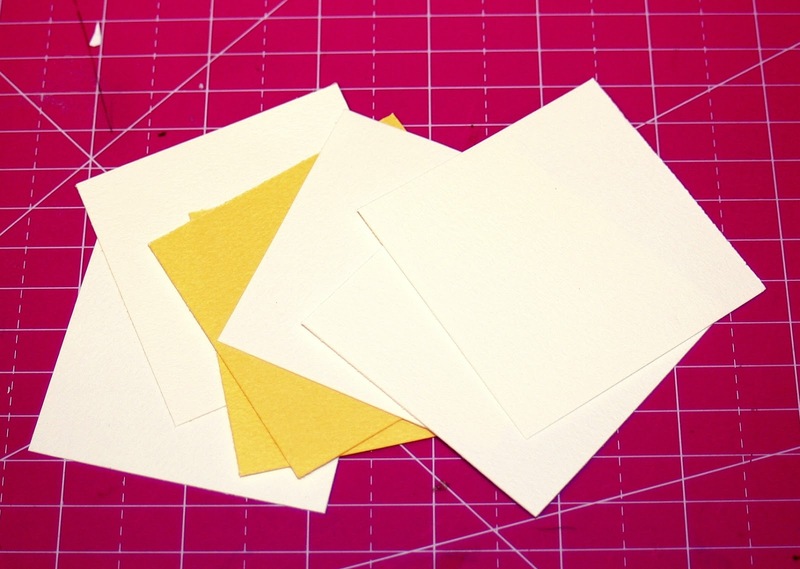 I cut sixteen 2.5" squares with my paper trimmer. 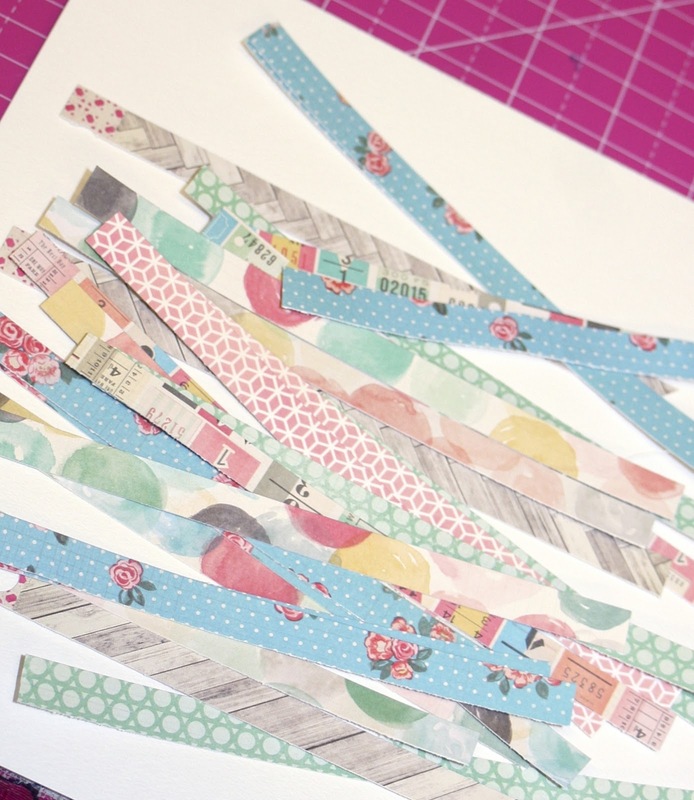 Next, I cut a bunch of 3/16" strips from various pattern papers. I used an assortment of 6"x6" papers from Maggie Holmes Flea Market, Maggie Holmes Styleboard, and Carta Bella Hello Again. After I had a nice pile of strips, I began laying out my quilt squares. First, cover your square in adhesive. 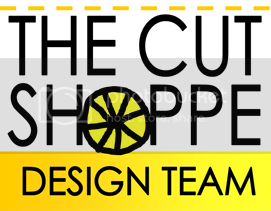 Next, place a strip so that the sides of the strip touch the outer corners (hopefully this picture will help explain. 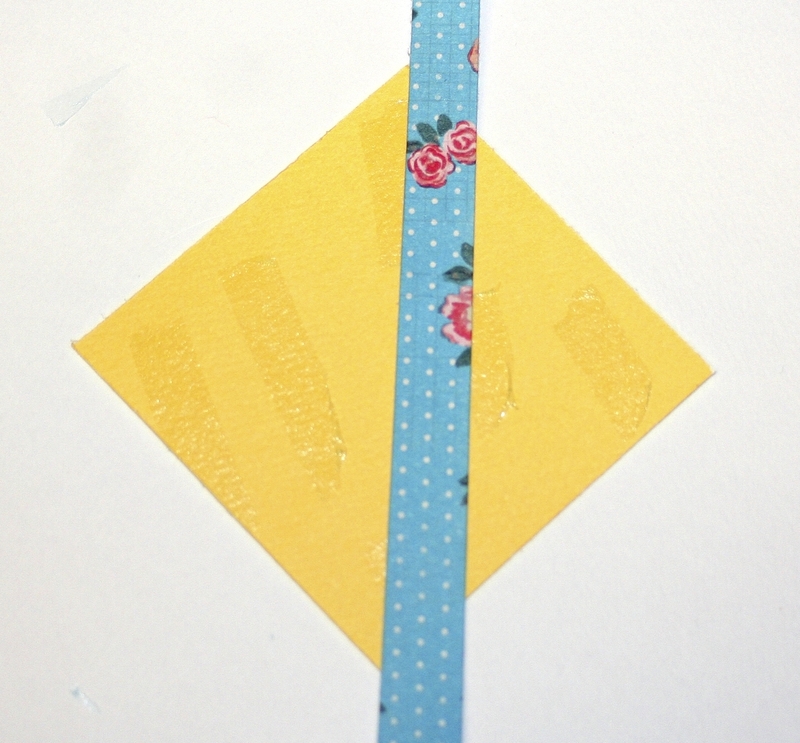 I chose a yellow scrap in order to make it easier to see). The sides of the two main strips will align at the center of the square. Once you have your main strips lined up, fill the square with more strips, until it's completely full. Flip it around and trim the edges. Repeat this same process with the remaining 15 quilt squares. Make sure that all the squares are identical, and the same patterns of strips are in the same place on each square. 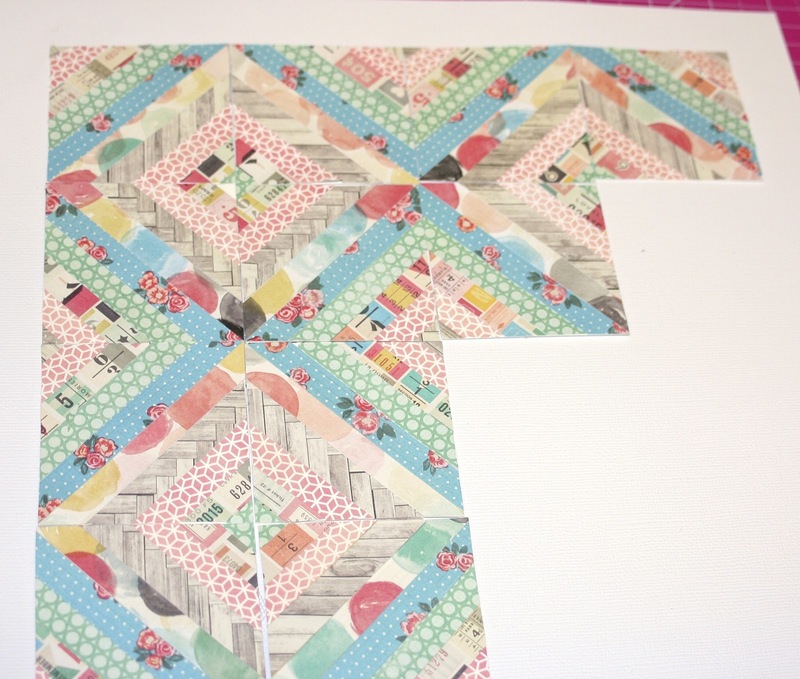 Once you have all 16 squares, lay them out like a quilt and glue them down! At first I wanted a white background, but after I glued down the squares I decided that the white was too stark of a contrast, and went with a patterned paper background. Overall, layout took me about an hour. It's so much easier than it looks! I hope my instructions made sense. Thank you for checking out my layout and tutorial. I hope it was helpful and I would love to see any projects you make using this fun technique! AMAZING!!! 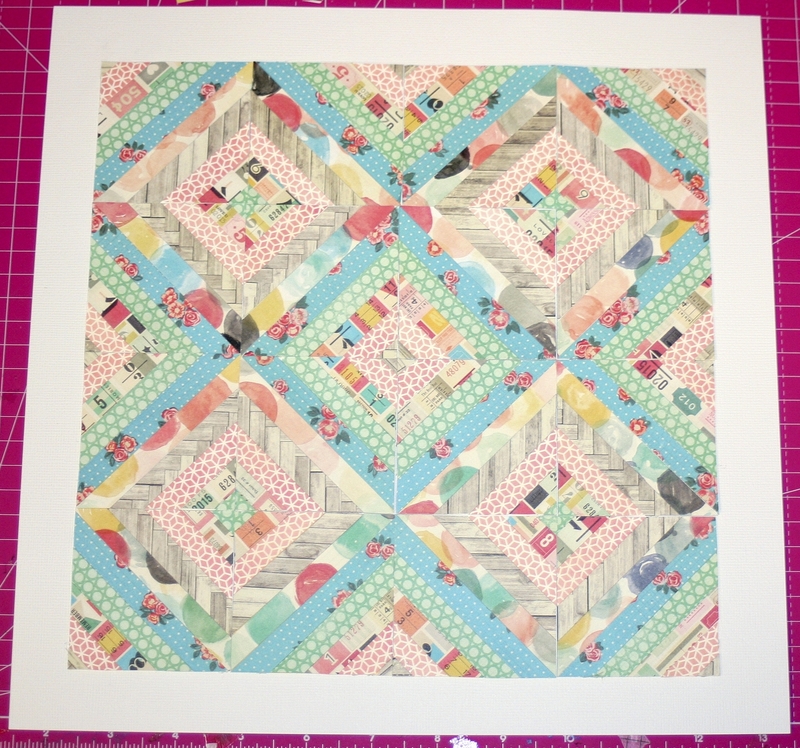 Seriously, aren't quilts the best for inspiration??? I swear Allie, you just keep getting better and better. 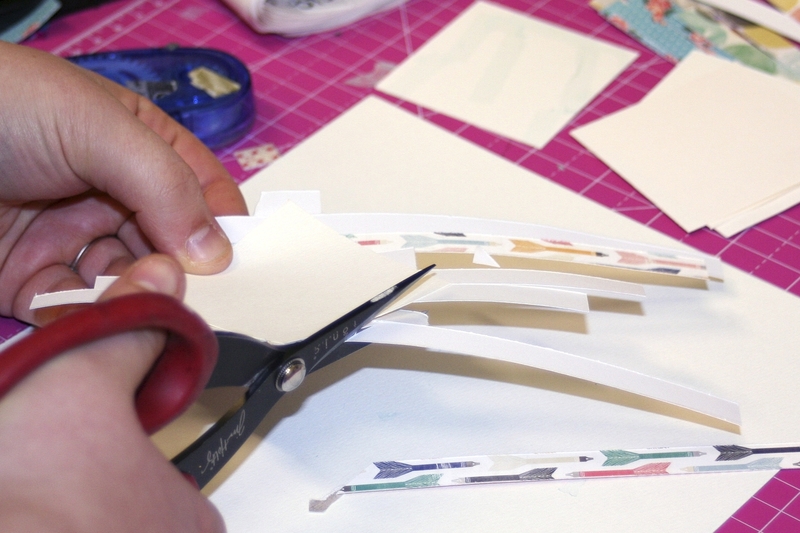 I love the fact that you dig deep to find a creative answer to not using a bunch of embellishments ( if you are like me you have to make them stretch). I love the title.....tell your hubby he came up with a good one!! Gorgeous layout Allie!! I love the fun quilt look you created!! WOW - this is GORGEOUS!!! You are the most creative person and I'm always amazed at the beautiful things you come up with. 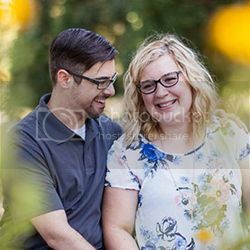 I love everything about it, the photo is so cute and Michael came up with an awesome title!! 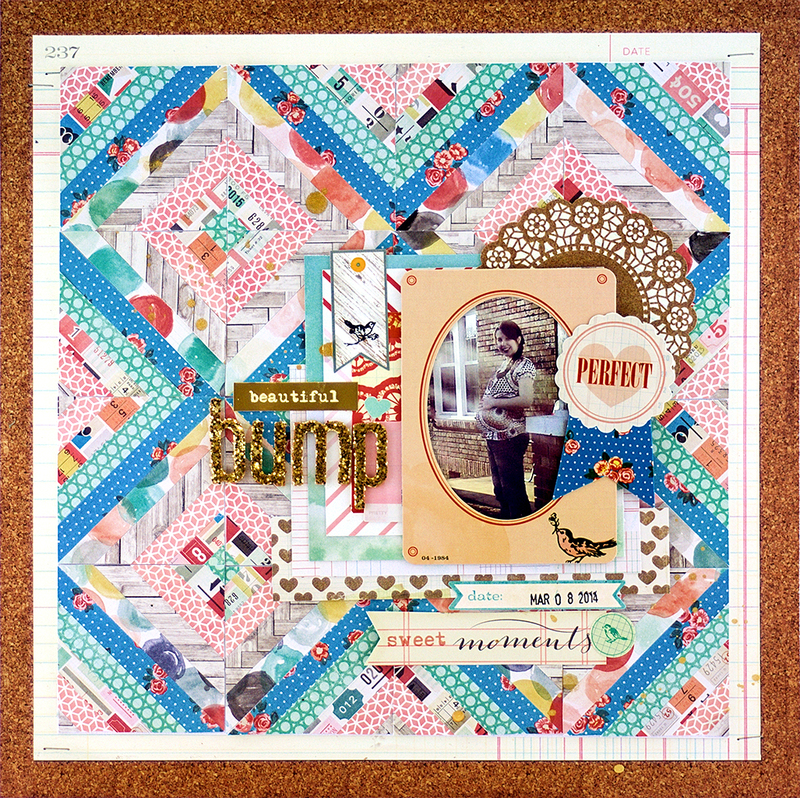 You know I love a quilt layout too and this is a winner! 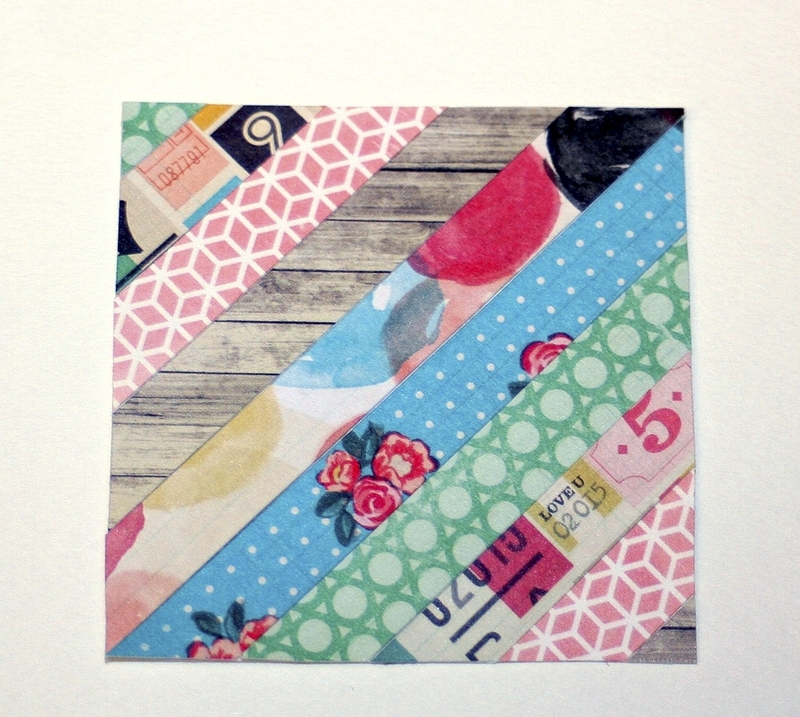 Great job, your colour choices are awesome as usual and I can't wait to scraplift it! Love it ! I am trying to make a background with the bargello technique (an old technique used in the beginning of french scrapbooking) but I have to say that I am struggling with it... As I have lots of cut strips, I will probably try your tutorial after I finished this layout...Thanks, for your tutorial, it was really clear and so inspiring !